American backgammon mavens Crisloid craft some of the most durable and vibrant checkers on the market. 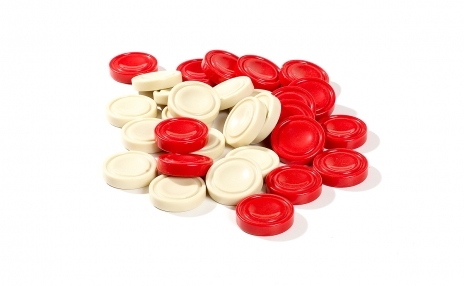 These Acrylic solid red grooved checkers are no longer in production by Crisloid. We, however, still stock them in our inventory. The click sound of these checkers is incomparable with anything else we currently carry. Very high quality, and available only in red 1.75" size.